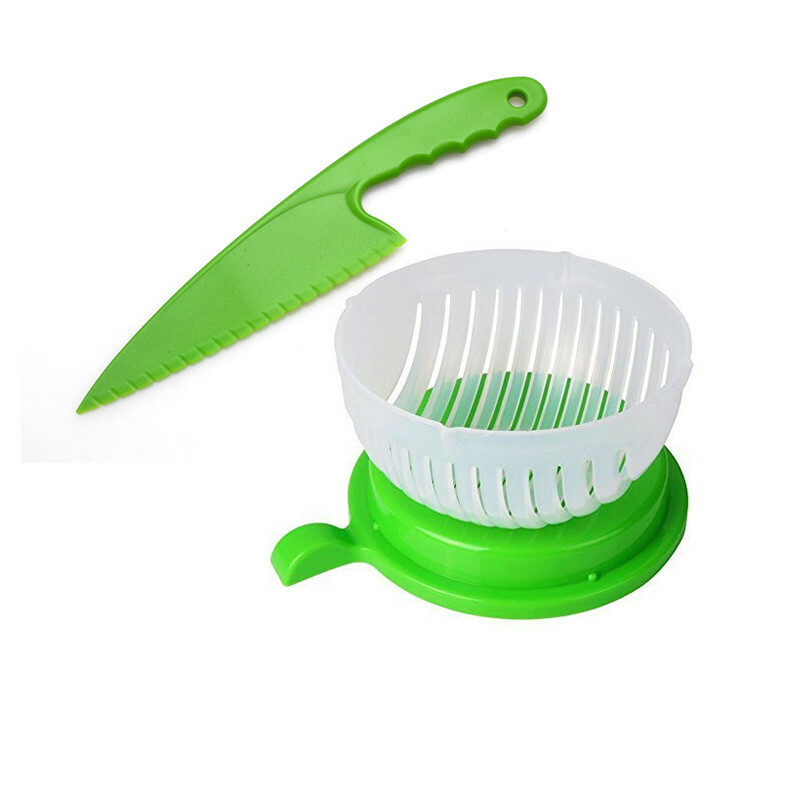 · Fast & Easy: Make your delicious salad within 60 seconds. 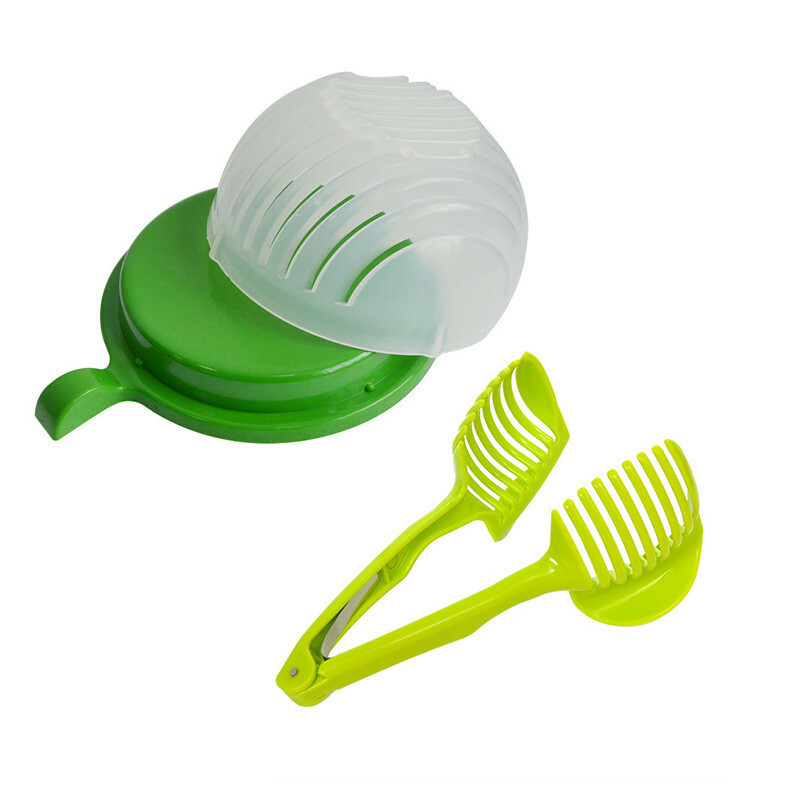 Enjoy your food preparation with ease every day. · Updated Design: There is a sink at the bottom. Don't worry about vegetable juice flowing to the counter when you cut the salad. · 1. Put your ingredients into the bowl, wash to clean, note that the ingredients should not be more than 3/4 of the bowl. · 2. Close the bowl with the base, well fix the bowl with the base. · 3. Chop ingredients through the slits of the bowl, the ingredients will be chop into pieces. · 4. rotate the bowl 90 degrees, chop it again, the ingredients will became smaller pieces. · 5. Done the making. Just enjoy your healthy fresh salad !